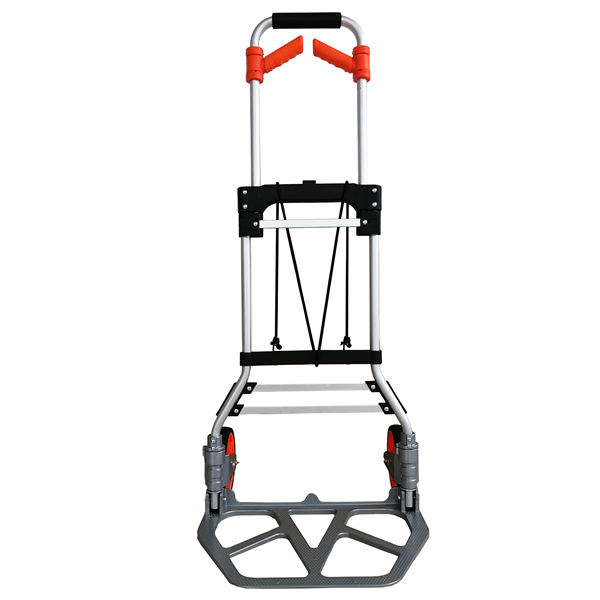 The Heavy Duty Mover Folding Hand Truck is lightweight, compact, yet able to handle loads up to 120kgs . 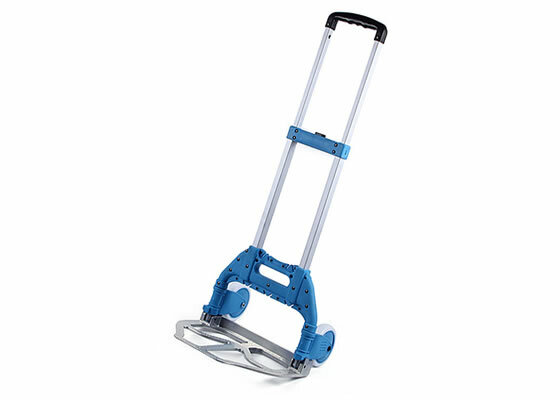 Aluminum construction makes this a very durable hand truck. 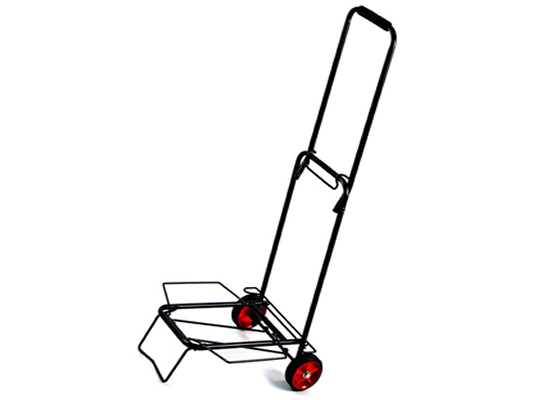 With the push of a button the handle extends and locks into position. 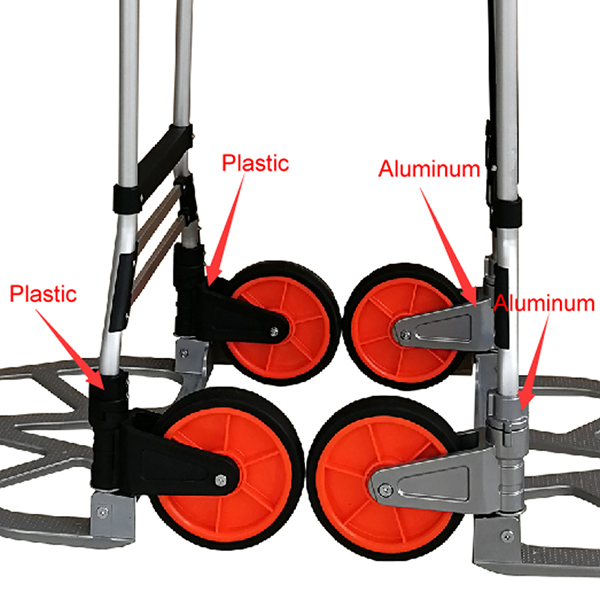 Pull down the nose plate and the wheels automatically move into working position. 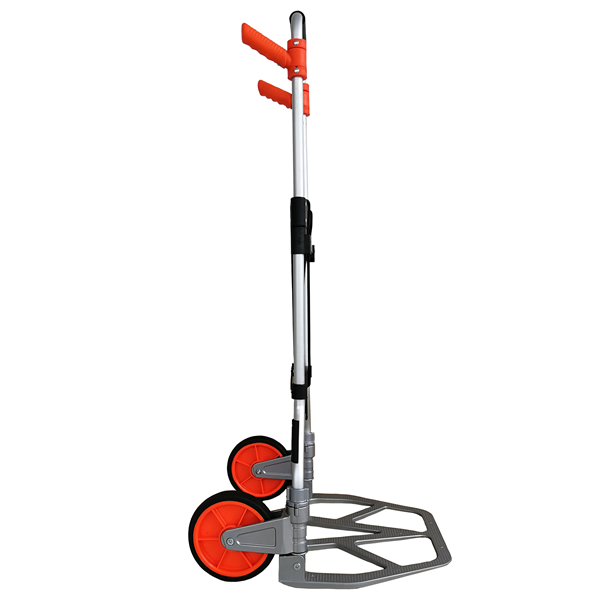 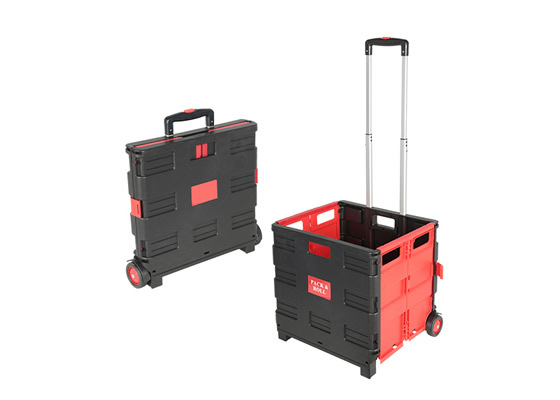 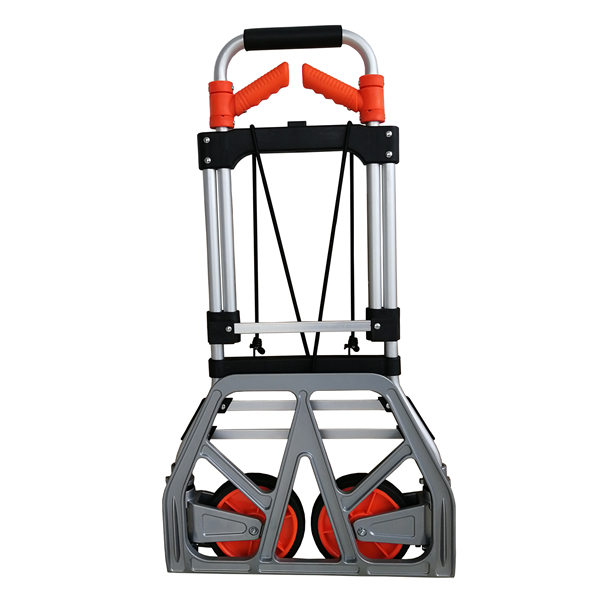 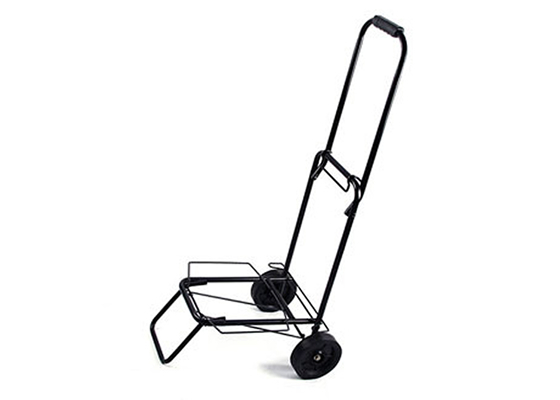 This hand truck is commonly used in warehouse and manufacturing environments, as well as route and service deliveries. 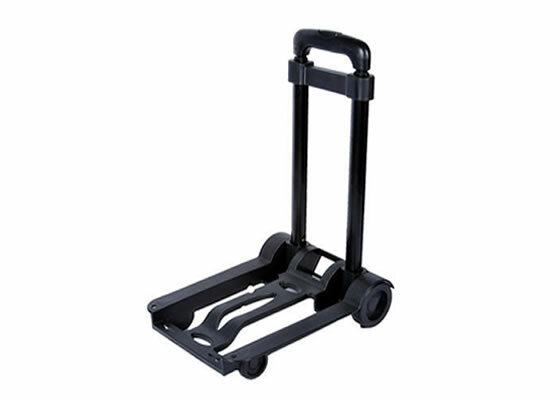 If you need a medium to heavy duty folding hand truck that is easy to store, this is a great choice.